In which G.M. 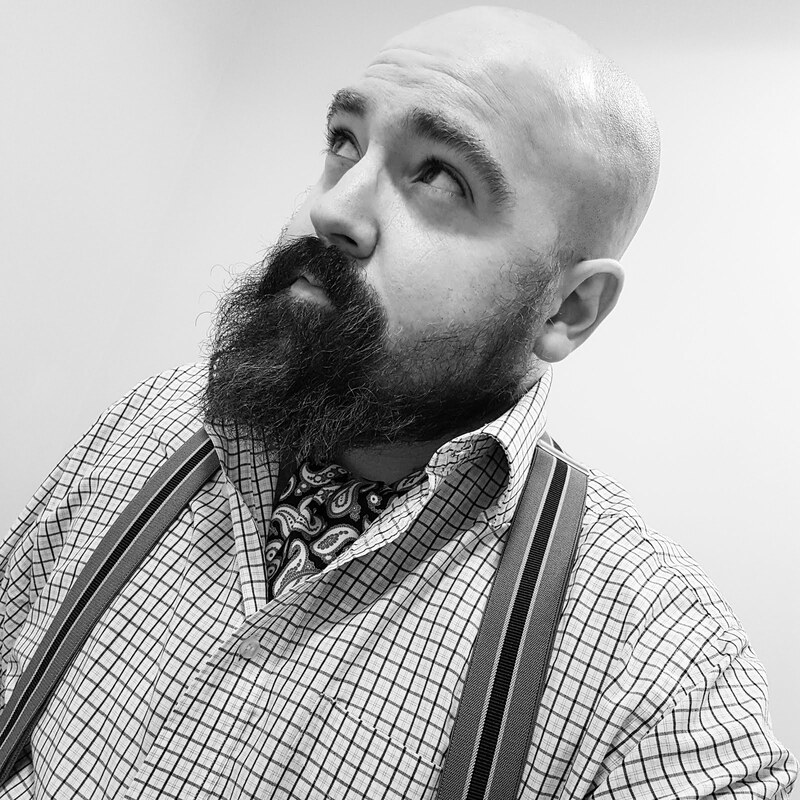 Norton visits the new northern home for Fashion on the Ration (and has a super giveaway!). Clothes rationing didn’t just last for the duration of the Second World War, it went on for nine years, long after the war had been won. Of course, it wasn’t all bad. While men were forced to forgo turn-ups on their trousers, it also meant that fair maidens revealed a little more leg as hemlines were raised for the war effort. That was when they weren't slipping into trousers themselves, to carry out the manual jobs, that men across Blighty had left behind. That’s what I like about the way Britain reacts in a crisis. We make the best of things, keep our collective chins up and try to see the funny side. 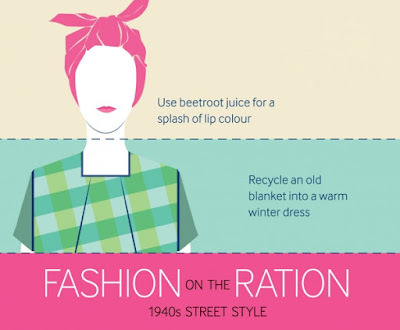 I was tickled pink to be invited to the Imperial War Museum North for a private view of the acclaimed ‘Fashion on the Ration: 1940s Street Style’ exhibition. This follows a successful stint in that there London last year. 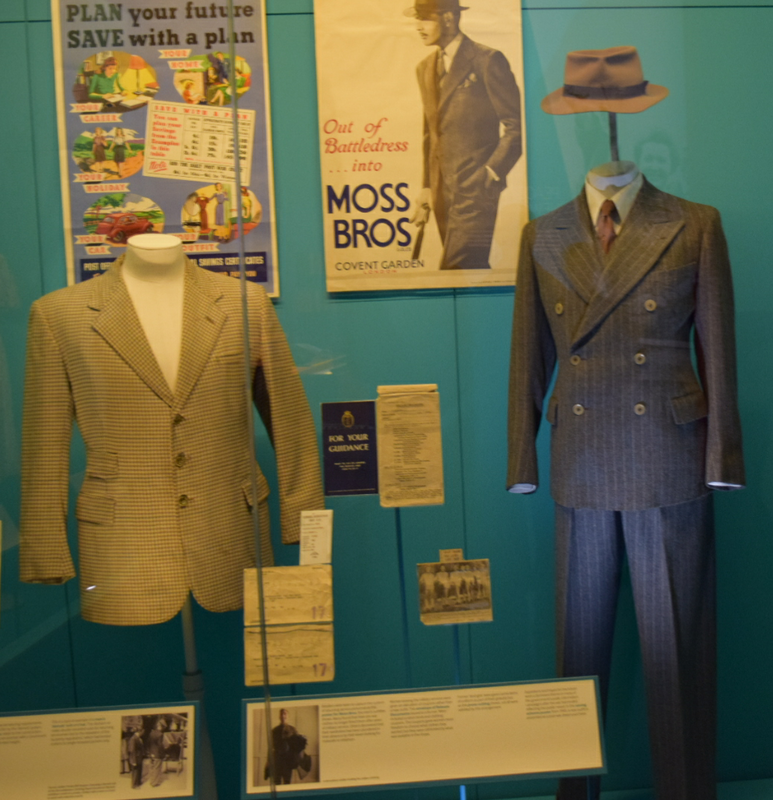 The Fashion on the Ration exhibition’s new home at the Imperial War Museum North also coincides with the 75th anniversary since clothes rationing was first introduced, on 1st June 1941. The private view was held last Thursday, with the exhibition officially opening to the public yesterday. It will run in Manchester until 1st May 2017. I absolutely adored the exhibition. Travelling to Londinium is a little tricky (and expensive) so it’s marvellous that it has now reached the other end of the country, which knows a thing or two about making clothes. Fashion historian Amber Butchart was there to officially open the exhibition and I got to meet some old chums, including Sue off of Old Fashioned Susie. The exhibition is made up of six different sections – Uniforms, Functional Fashion, Rationing & Make Do and Mend, Utility Clothing (my favourite), Beauty as Duty, and Peace & a New Look. It was so fascinating to learn about the resourcefulness of British people when faced with rationing on items we take for granted today. 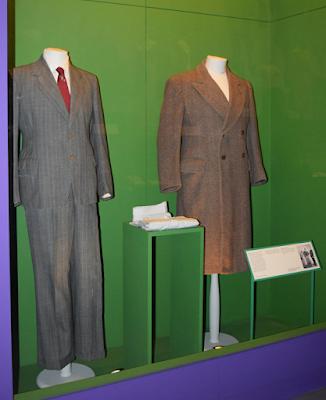 The perfect example is the underwear set and dressing gown which were made out of silk maps - astonishing! 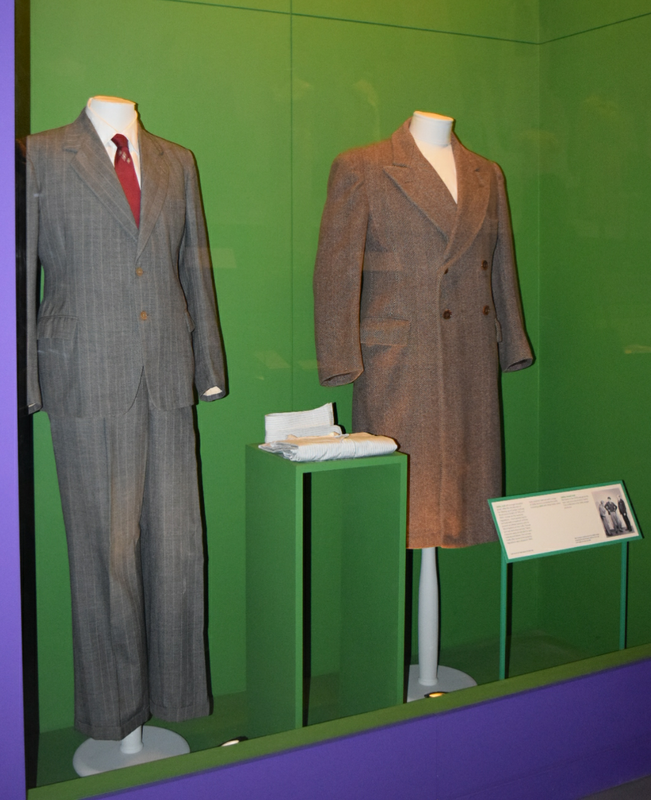 Of course, the exhibition is dominated with dresses for ladies to fawn over. But it was my turn to salivate at the military uniforms, CC41 menswear and a pristine looking demob suit. 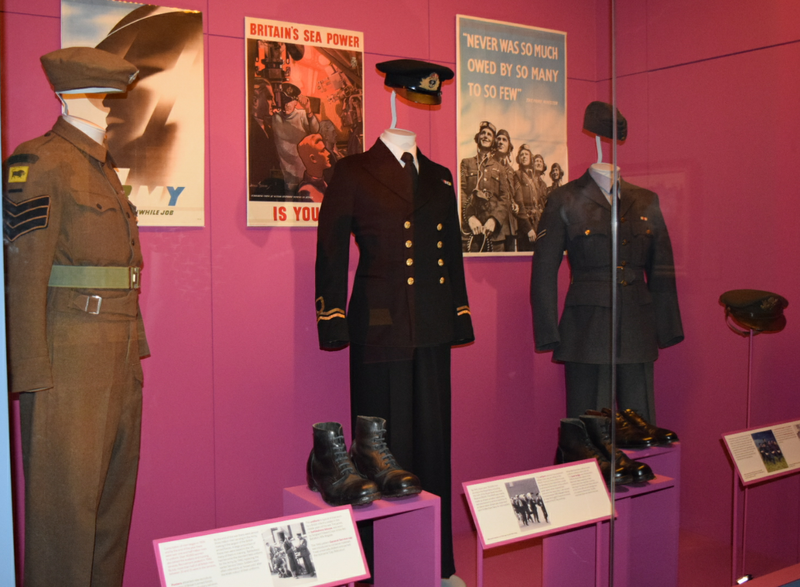 To celebrate Fashion on the Ration opening at Imperial War Museum North, the museum has very kindly put together a prize bundle for one lucky reader. I particularly love the Bader scarf, a polka dot scarf famously worn by RAF pilots, named after war hero Douglas Bader. To enter, simply leave a comment below, sharing why you would like to win this Imperial War Museum prize. You may also enter using Twitter, Instagram or Facebook. Just tag @nortonofmorton in, telling me why you would like to win the prize. Simple enough? Extra brownie points for following Imperial War Museum North on Twitter @IWMNorth and signing up to their e-newsletter. The competition ends at midnight on Friday 10th June 2016 (only open to UK residents - sorry!). I was contemplating using Rafflecopter to run the competition but decided to keep things traditional - entries will be put into my straw boater and the winner will be picked out at random by my four-year-old. 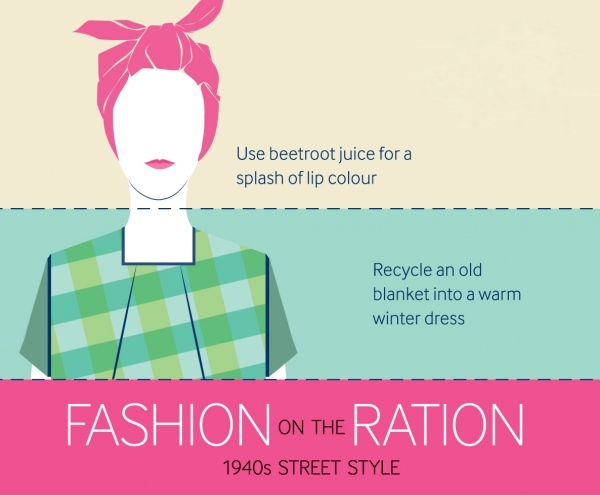 Fashion on the Ration runs from now until 1st May 2017. It's £6 for adults, £3 for children and £4.50 for concessions. Heyho what a lovely we prize indeedy. I (read we - me and the hub) would love to win this prize as we were most disappointed we missed the exhibition in London-town (things were a bit blah for us last year) and we are super keen to visit Man-Chesta too so you know...two birds and all that! I was intending to see the exhibition in London but didn't have the time to do so. I'd therefore love to win the tickets in particular, but the other goodies would be a great bonus! Wow what a fantastic prize, I would be thrilled to win. I would love to win this as I adore 1940s fashion. I go to the forties weekend every year at Severn Valley Railway, I dress up, get pincurls in my hair and its so much fun. I think the 40s fashion is so elegant and this book would give me some inspiration on ideas to try! Being ex Royal Air Force and the proud owner of a handlebar moustache, the Bader scarf would be an excellent addition to my wardrobe. Topping this with tickets to see a range of CC41 clothing would be the icing on ration free cake. Yes, I have the same problem. Too many clothes for my wardrobe to hold, yet I've planned in my head my purchases for the next year and beyond. Rationing? Cripes, no thanks. I say, what a prize, what what!! I would like to win this because my grandpa served in the RAF and I'd love to give him all this as a birthday present. He would be made up with the scarf that Bader wore. Congratulations, old sock! Your name was picked out of the hat. I'll send you an electronic message forthwith. I'd love to go and celebrate my grandparents, both who have now passed away. The two met at a dance in London (classic..) here was this cocky Scottish private who had come down mocking southerners and here was a beautiful, short brunette with curls clipped back who he came up to. They were fantastic dancers, hit it off and all of a sudden- he was shipped off to fix and build planes in Egypt. In London, my grandmother joined the Army Nurse Corps and the two corresponded non stop since that dance. The first time he got leave- almost 8 months later- he went to see her- took her out on the town for another dance and a flick and over a dram of whisky, asked her to marry him. When he returned and the war ended- they were married had three children and I'm one of 6 grandkids! They were married for 54 years and both very into fashion (when they were outside of those itchy, course army uniforms!) and I would love to go with my mum who will love it and recognise some of the styles that my grandma wore and the long-wide trousers I've seen my grandad wearing in pictures and even a few of his hideous(!) ties. This post has brought back a lot of loving feelings about them recounting how they met and even what they wore- thank you!! I would love to win this prize as i am a carer and work with people who fought in the wars, sadly a great deal have dementia but still remember a lot about the wars would love to be able to use these items with my beauitul people and get them to tell me more stories about their lives. One gentleman I look after Richard is a great man and served in the Merchant Navy in the war he got blown up in his ship! Broke his back and lost his 2 best friends and sadly dementia has taken away a lot of his recent memories but he is the most wonderful man I have ever met, he is 91 and still an absolute joy to speak to and be around. I would love to take him to this and hear what stories he can tell me. I would love to win this prize, 1940's fashion, music, writing (particularly Agatha Christie who wrote prolifically during the London Blitz). I vist the IWM usually once a year and look forward to seeing this exhibition. Love the vintage look and would like to visit the exhibition! I would love to win to share with hubby and son...my 8 year old son has keen interest in the wars (I and II) and also woukld love the scarf! i have an interest in vintage style clothing and we would love the exhibition! I'd love to win as the whole prize looks great, I love reading about war and history, plus the fashions then are just amazing. I would love to take the Blimey mug to work for my tea break as I'm sure everyone would be asking where I got it from. What lady could turn down a silk scarf? Not I!! Thank awfully for all the entries. The winner has now been picked at random. The lucky person is one Mr. David Evans.